Operators of Chichester’s ice rink have said they brought joy to the city and will be back this year to do it all again. 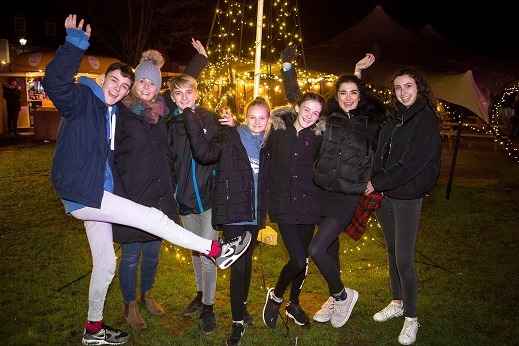 Speaking exclusively to the Chichester Post, Edward White, of S3K Limited, the operators of CHiCE – Chichester Ice Rink, said the ice rink which opened in Priory Park last year was a success. He confirmed that over 21,000 skaters came to the winter wonderland in the heart of the city and described the public support as overwhelming. He said: “It has been exactly as we predicted for a first year event. “We went running into that event, semi-blind, not knowing how the public would take it and we only had ten days of social media marketing. “It was nice to see 20,000 plus skaters come to the rink. We have changes and tweaks on our side to make for next time but they are operational tweaks that we can now learn from. “There are things we could do differently to streamline it but it was pretty much on par to be where we thought we would be. Operationally, it has run without a hitch. The weather is always a massive factor as well and having a roof worked in our favour. “CHiCE is definitely coming back. We are undecided on the location. There were cost implications being at Priory Park from noise, security and things that was imposed in the planning and premises licence meetings. A lot of members of public have queried the length of time in which the process appeared to be rushed through. Mr White explained: “We had an idea to put an ice rink in to Chichester about two years ago and we went to the council with the idea and they directed us to the cathedral. That as an option didn’t materialise but took 12 months to get to that point. “The email for tender came out in early August with a very tight return to get responses back in. We had everything to go so that made the application really easy. “I believe four applicants responded. At that point, it was providing the council with an ice rink, it wasn’t for a promoter to come in and do his own. The response came back in our favour and we had a series of meetings afterwards on timing. “What overwhelmed us was the public support,” said Mr White. “We recruited all our team for Chichester and the surrounding areas, It shocked us how many people had skating experience but what was refreshing was that everyone who was with us went beyond what we asked them to do. Lauren Wilson, operations manager of SK3, added: “We got our team together, marketing and got our booking system up and running in just ten days. Our crew worked so hard to get everything ready. CHiCE also confirmed they delayed setting up the rink due to a wedding taking place at the Guildhall in Priory Park and also closed for three skate sessions for a wedding. Problems still arose for the operators when they were subject to what they describe as a barrage of abuse and harassment. The ice rink held a VIP party on the Friday before officially opening as a thank-you to supporters and some local businesses. Lauren told The Chichester Post that a ‘troll’ tried to hack the guest list and wrote some awful things to people. CHiCE say they are fully aware who the person responsible is but will not name anyone and they have not gone to the police. Mr White explained they dealt with the issues behind the scenes. He said: “We have been very professional with how we have dealt with this. We have dealt with it quietly and not involved the police to date. Mr White described some of the calls on their 24 hour helpline as being used to harass them, through the night, including at 2am and 4am. “We were getting a barrage through the night with aggressive and threatening language being used. All of us have got young children and families and it became almost breaking point for us and there was no justification behind it. These people have been utterly unkind in their approach and deeply unpleasant throughout.” he said. “There are many positives around CHiCE and the fact we wish to return. I don’t want to return off the back off this horrid negativity. Now we know the city wanted the ice rink, the public have spoken. There is no need to bring a dark cloud down on this. “We brought joy to Chi. The positive reviews, the smiley faces, people who were taking the time to come and tell the staff what an amazing job they were doing, the people who came back week on week, sharing stories, making memories, all of that was really cool. “Parents who told us their kids were spending their pocket money every week on the rink and seeing it with 150 people on it. The numbers were good. “It was never crowded, so from a customer’s point of view, their experience was much better.